The Town of Amherst, NY seeks to empower minority and women business owners to advance socially and economically by providing linkages to expand and improve opportunities. You may register with our online business directory if you are (1) a minority or woman who owns a business in Amherst or (2) a minority or woman who owns a business outside of Amherst but is an Amherst resident. Your business does not have to be certified through New York State in order to register. 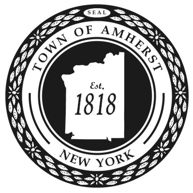 Your submission will be posted on the Town's Official website (www.amherst.ny.us). Once registered, if you wish to make changes or be removed from the directory, you must contact the Amherst Council members Office at 716-631-7013.